Adrian Mitchell is a versatile author whose work I came to know through my work as a teacher. When the Australian Curriculum introduced the topic of ‘explorers’ for Year 4, there was initially very little available in the way of suitable resources. 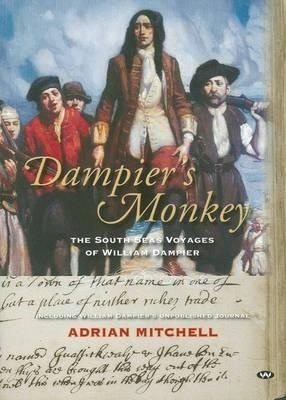 My solution was to develop a kid-friendly wiki and one of the books I used to improve my own knowledge of the topic was Adrian Mitchell’s Dampier’s Monkey: The South Sea Voyages of William Dampier. (See my review). It turned out to be invaluable as a trustworthy reference and it also had all kinds of interesting facts that I was able to use to get the children’s interest. 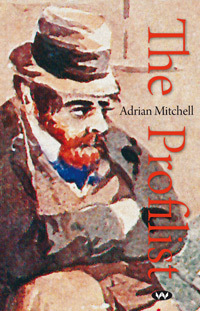 Mitchell’s most recent venture into print was in fiction, with The Profilist, the notebooks of Ethan Dibble. As you’ll know if you read my enthusiastic review, this was another book about an Australian art, but with a twist. Nobody knows much about the real life Samuel Thomas Gill except through his paintings – so Mitchell used his extensive knowledge of Australian history to invent a journal that Gill – given an alias as Ethan Dibble – might have written as he travelled about in the Australian colonies. The Profilist is one of the most enjoyable books I’ve read so far this year. So I am delighted to introduce Adrian Mitchell through my Meet an Aussie Author series! 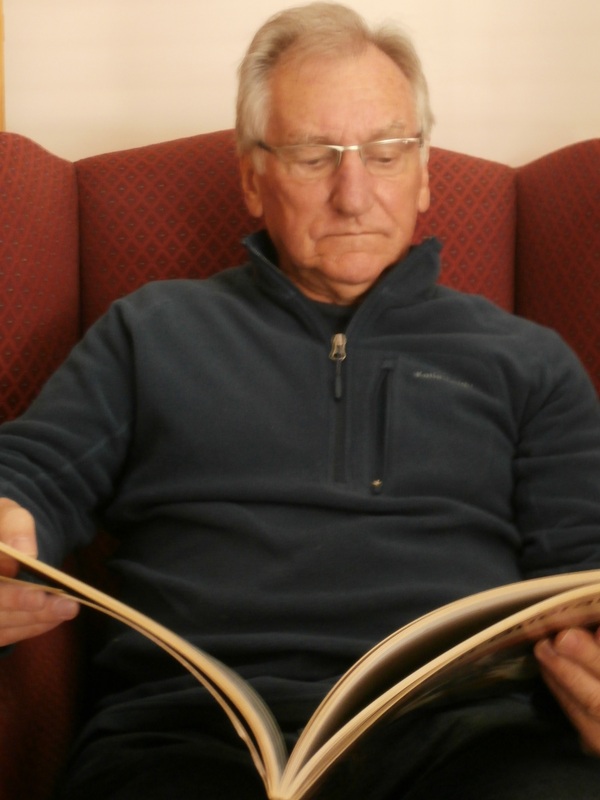 Adrian was born in Prospect, S.A., in 1941 and was educated at Prince Alfred College. He graduated from the University of Adelaide, and completed his PhD at Queen’s University, Kingston Ontario. He lectured in Australian literature and English literature at the University of Adelaide, then the University of Sydney, until (he says) he ran out of puff and took on roles as Chair of Department, Head of School, and Director of Postgraduate Programmes in the Faculty of Arts. In 2006 he retired from all those committees, report writing, supervisions and essay marking, and re-entered the world, becoming a full-time writer. He lives on Sydney’s Upper North Shore, close to bushland. 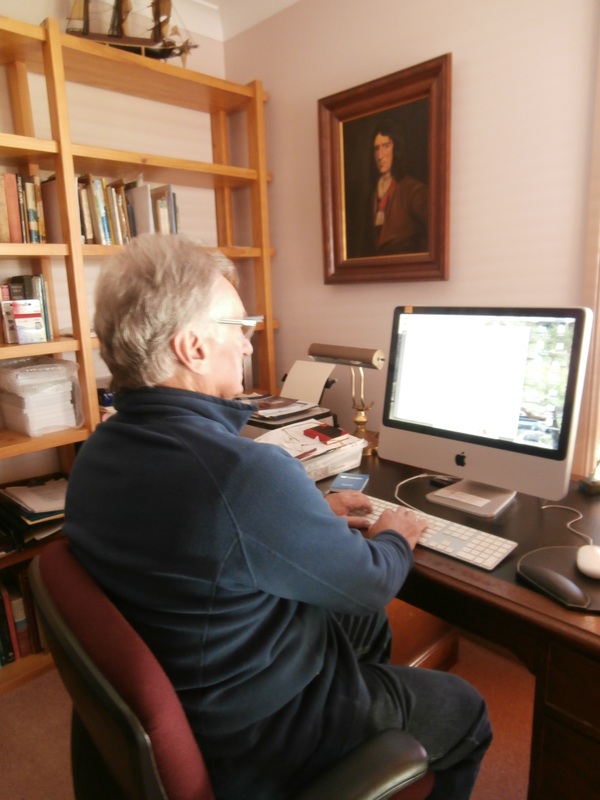 Adrian at work – that’s William Dampier hanging on his wall! And here he is, in his own words…. I was born in… Adelaide, on what according to family legend was the night of the first air-raid blackout. How Japanese aircraft of those days, or nights, could have thought to attack and then return to some distant base was never explained. But Adelaide was determined to join in the war. My father was an air-raid warden, which meant we were provided with a telephone; he also scored a helmet which later did yeoman duty as a water-container for our ducks. When I was a child I wrote … a daily diary at school, and illustrated it too, in which all the family secrets were serially divulged to a fascinated teacher. Especially ripe reports won a purple stamp, “for good work”. My difficulties with the boundaries between fact and fiction, to say nothing of good taste, were on early display here. The person/s who encouraged me to write was … Hmmm, I’m going to answer a slightly different question (I warned Lisa I might do this, as I have a chronic inability to answer form surveys). Not writing, but telling stories. Shaggy dog stories for preference, the longer the better, and with a painful pun to clinch them. My mother once unkindly referred to me as “Brook”, after Tennyson’s poem: “For men may come and men may go/ But I go on forever.” … It was really my wife for whom I first started writing, and who then encouraged me to keep on, possibly as a devious strategy to get me out from under her feet. I write in an upstairs study, with windows looking out on to a small but tranquil garden. I write in … It takes a while to work up pace, but when the fit is on me I just go for it. Later on I do the patching and filling and sand-papering, listening for the sound of the words and phrases. That is just as interesting for me as getting the material down. Finding out what I have been trying to say. Research is … one of the rewards I allow myself, ahead of and during the writing. Without it, how would I know what I need to make up? I keep my published work in … dry dock? suspense? the shadows? On the day my first book was published, I …. Well there never is such a day. A book is already published by the time you first see it. Besides, with all the revising and re-reading and proof-reading, you are pretty much over any excitement. And in any case the next book, which is already well under way, is what holds your attention. So, modified rapture. At the moment I’m writing… another book about a bruised ego, in early Adelaide once again. About a young man, W. A. Cawthorne (a schoolmaster, whose students acknowledged the pertinence of his initials), who steered erratically between God and Mammon and tried to avoid the social scandal of his disgraceful father. It is somewhat continuous from “The Profilist”, in that Cawthorne took art lessons from S. T. Gill, and was befriended by George French Angas, whose special interest was in Cawthorne’s collection of Aboriginal items. Cawthorne was rightly nervous. Dampier’s Monkey was published by Wakefield Press in 2010, followed by Plein Airs and Graces: The Life and Times of George Collingridge in 2012, and The Profilist: A Novel has just been released now in 2015. From Corner to Corner will be available from late May – and here I am delighted to discover that I have a family connection to this book which is about Henry Colless who helped to establish the legendary town of Come-by-Chance in NSW – which is where my husband’s grandmother was born. Family legend has it that she never saw rain till she was seven years old and didn’t know what it was when she saw it. You can buy all these titles from Wakefield Press, or you can click the links to buy them from Fishpond. You can find out more about Adrian at his website. Photos courtesy of Adrian Mitchell.